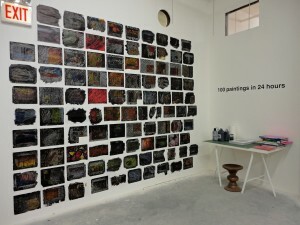 From Monday, April 28, to Tuesday April 29, Counterpath hosted London-based artist Teresa Albor for a performance work: Albor made 100 paintings in 24 hours. The paintings were then given away. The performance is part of the artist’s investigation of what art is, who it is for, and how it is made. Teresa Albor is a multidisciplinary artist, with a studio practice, based in London. 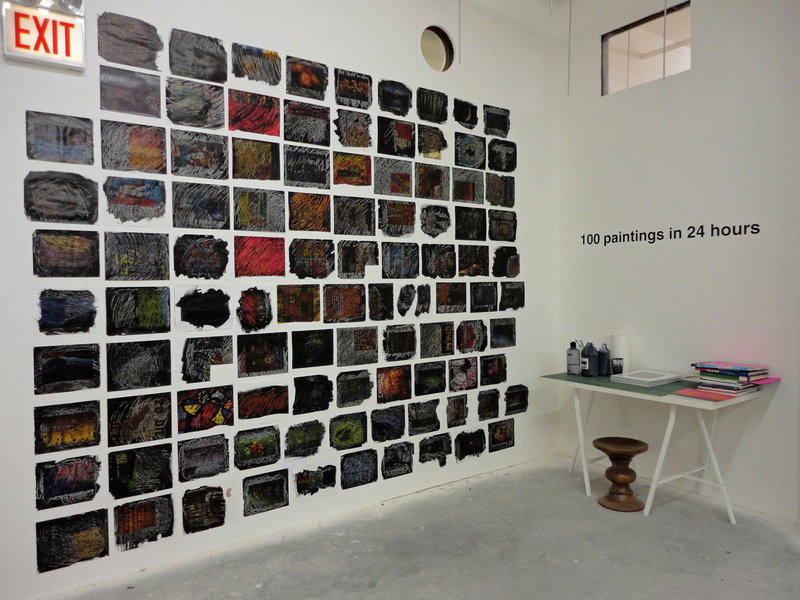 She is interested in site-specific projects and working with/within communities. She studies at the University of Wisconsin and has an MA from Chelsea College of Art and Design in London. She is also one of two artists known as Rufus Stone. Rufus Stone works with “non-artists,” helping them reimagine what art means in their lives by introducing them to mediums such as performance, sound, and installation; then facilitates, contextualizes, and frames their work; locate audiences and venues; and documents the process.